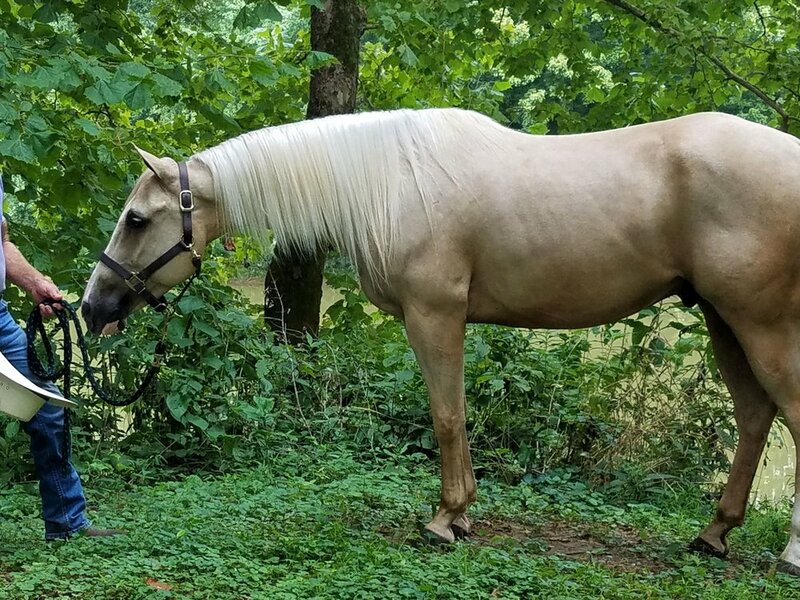 Don't Skip Old Gold is a four year old Palomino AQHA Gelding. This ultra sweet guy is simply beautiful with his good looks and well-conformed body. I love his bright attitude and willing nature. A good thinker is beautiful to me and he has it all, color, quality AND a good disposition. "Denny" has a great neck with a nice poll. He has a short back, a long hip and is a great mover. A natural athlete as his pedigree indicates that he should be. 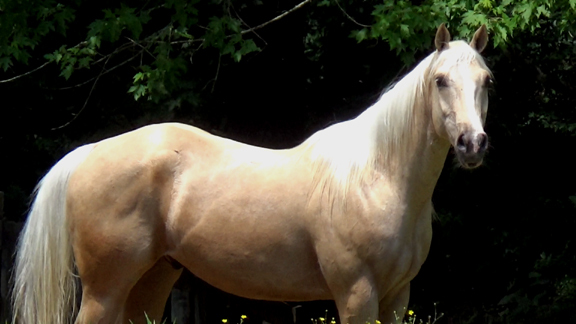 He is well bred with lines to Zippo Pine Bars, Two Eyed Jack, Poco Pine, Watch Joe Jack and Zippo Pat Bars. 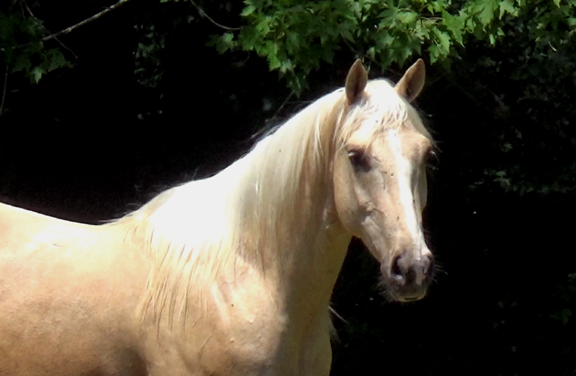 Bred to be a good using horse. 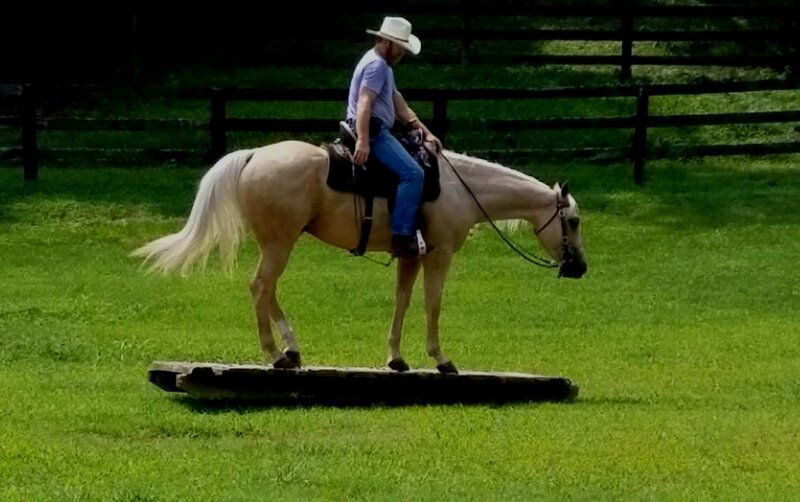 Denny is enrolled in my Ultimate Trail Horse Training Program. 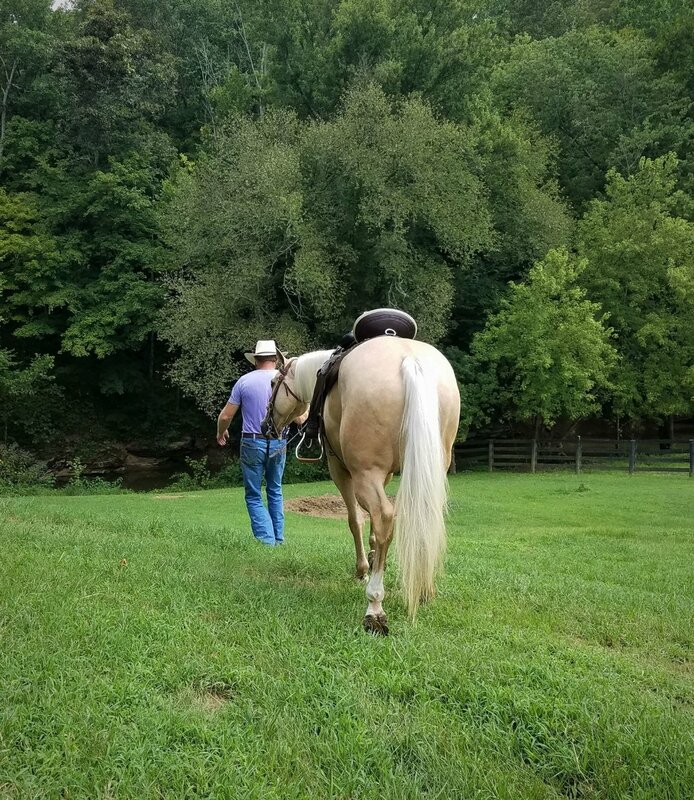 He exhibits all the qualities that I consider a Must for my Level 4 horses. 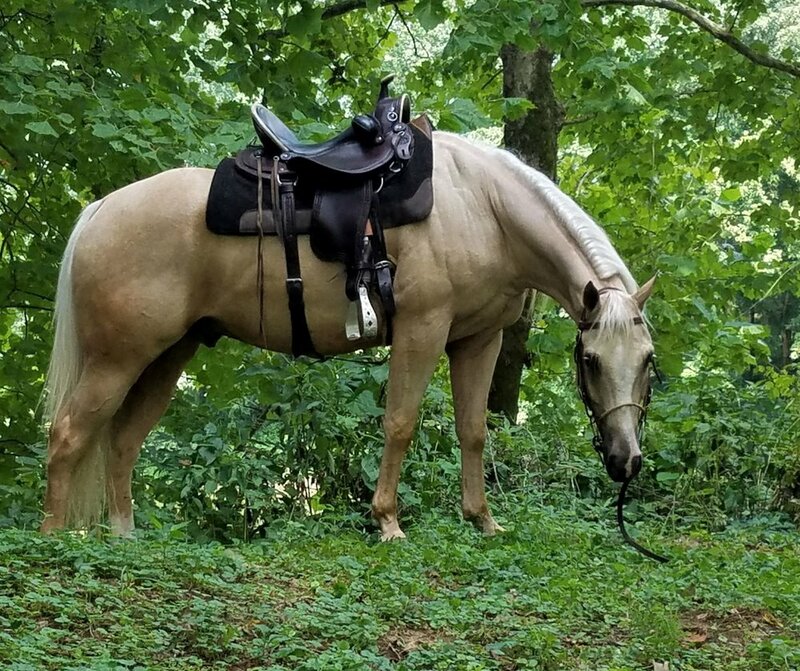 He has a gentle and relaxed nature that takes everything in stride. He is a good thinker and really enjoys being with people. He has a curious personality, one that is not prone to spooking. He would rather investigate than turn and run. I love that in a horse. 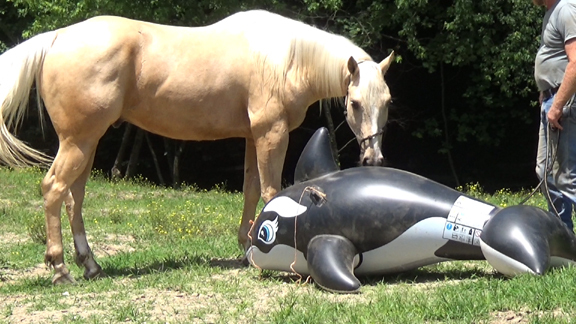 Denny is soft and supple on the bit and the leg. He is very trainable and easy to work with. 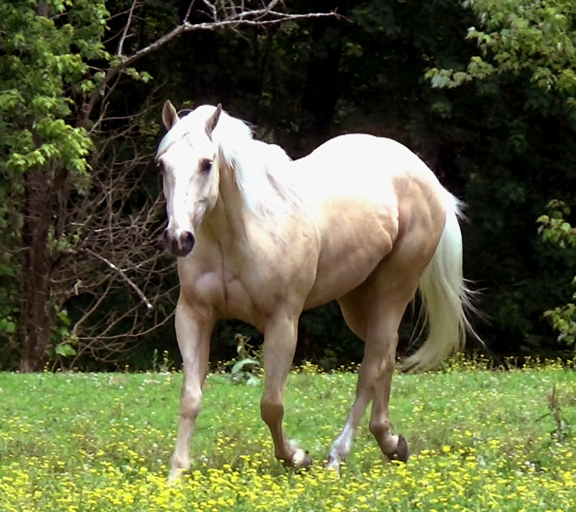 He has a natural jog and uphill canter. 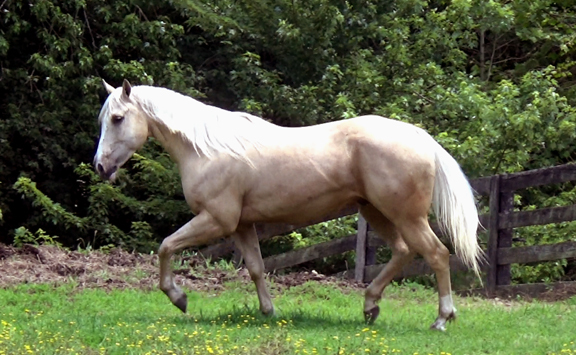 He carries his neck in a relaxed frame on a loose rein. 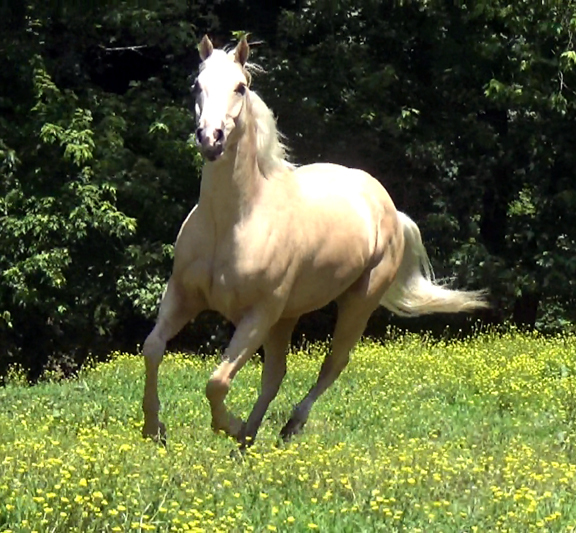 I can see him doing quite well in the Ranch Classes that are getting so popular today. 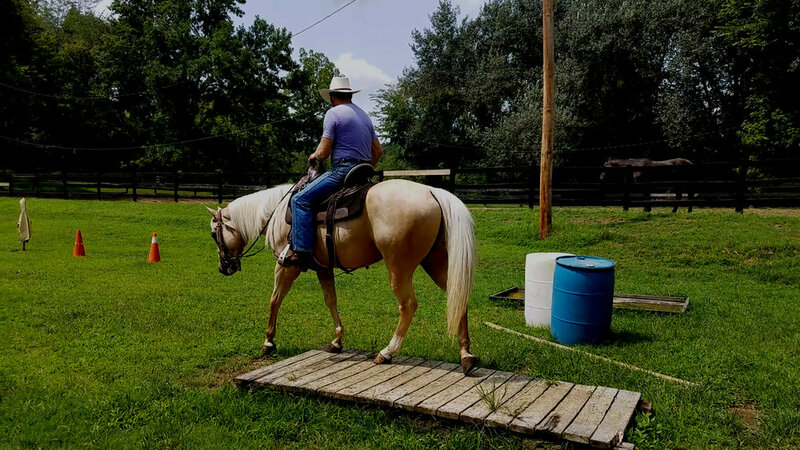 Denny is riding in a simple snaffle. He is beginning refinement work in the arena. 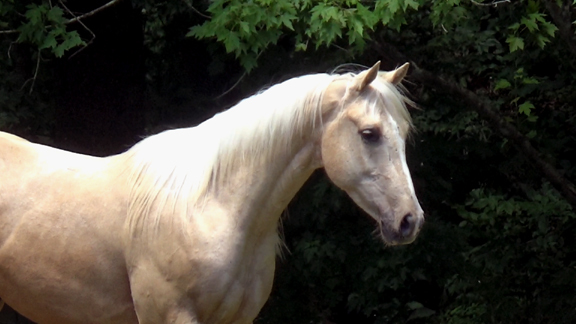 He moves his hindquarters, working on the sidepass and moving the shoulders. He can perform a basic leg yield and is backing with light pressure. He will continue to work on refining his aids and body control with an emphasis on a solid foundation of softness through the body and the mind. 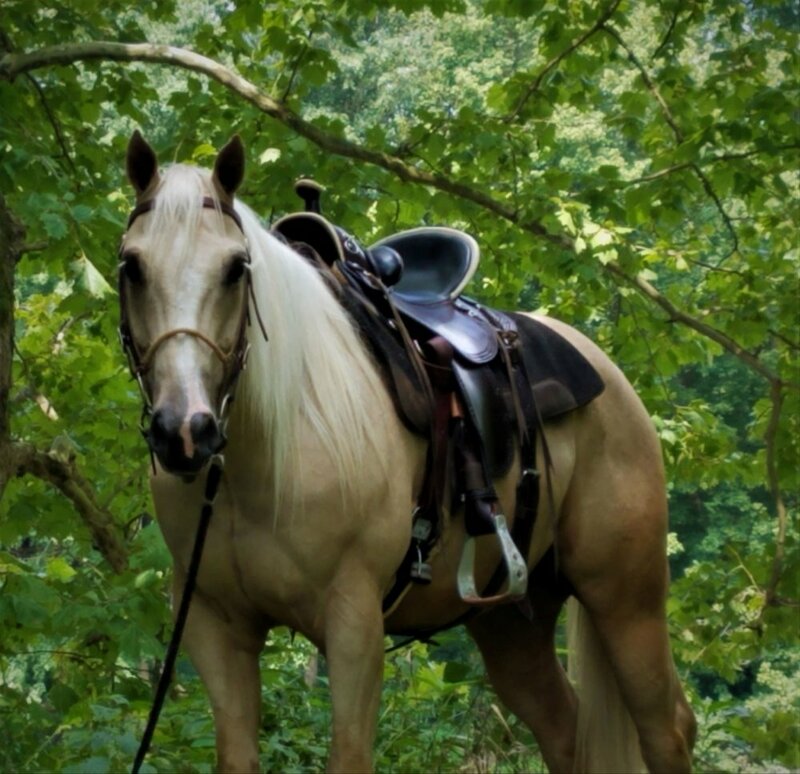 He is also frequenting the trails solo and in small groups. He will continue to be exposed to as many varied environments as possible. Trips down the road, to other arenas and different trailheads are in his future.